Develop your skills as a childbirth educator, stay up-to-date on key topics in the field and earn contact hours towards Lamaze certification or recertification with Lamaze’s online education offerings. Recorded Webinars and Presentations: We partner with experts to bring you new evidence or different perspectives on the most pressing issues in our field. If you can’t attend an event live to interact and ask questions, these recordings are the next best thing. On-Demand Learning: These quick-hit lessons tell you everything you need to know about hot topics that parents might be asking about. For example, what’s the evidence behind marijuana use during pregnancy? How bad is it really to drink while pregnant? JPE Homestudies: Trusted with bringing you the latest evidence, the Journal of Perinatal Education publishes two homestudies per issue. Did you know you can earn continuing education credit for them if you purchase these companion modules online? Breastfeeding Modules: Designed to help hospitals achieve Baby-Friendly accreditation, these modules teach nurses, educators, lactation consultants and others providing perinatal and postnatal care how to support breastfeeding mothers, build confidence and assist with problem-solving. 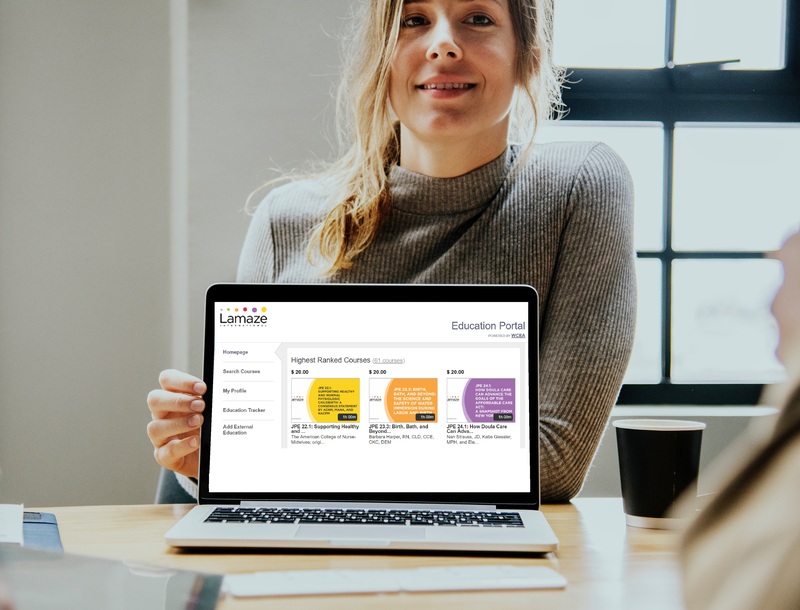 Educator Essentials: Your path to Lamaze certification, the Educator Essentials are an alternative for experienced educators to learn and understand the Lamaze approach to childbirth education and in circumstances when attending a live seminar is not an option. Learn more about our Majority Countries Discount Program. In an effort to ensure that educators across the globe have access to the latest research, we are pleased to offer homestudies, on-demand learning and webinar recordings free to educators in countries on the United Nations’ Developing Countries list. (As the United Nations adjusts the list, eligibility may change.) Continuing education earned through this program may be applied towards certification. For those with an IP address located in one of these countries, simply log-in to the Online Education Center, click “purchase this course” and check out – the discount will be automatically applied.